Did you know Avengers can retire? It’s true! It’s exactly what Clint Barton has now tried, and failed, to do. While Hawkeye might have hung up his bow and arrow for a while, unfortunately, the rest of the Avengers — let alone the whole world — need him to step back into the action. The first time Hawkeye tried to retire was after “Avengers: Age of Ultron.” His wife, Laura, had just given birth to Nathaniel Pietro Barton, and he decided to spend some much needed time with his family back home. It didn’t last long. When asked about signing the Sokovia Accords, Clint declined, saying he was retired. And then he came out of retirement literally mid-way through “Captain America: Civil War” and joined the fight along Steve Rogers, admitting that he was “disappointing my kids." Last we saw Hawkeye, he was stuck out in the middle of the ocean on the Raft, the super-secret underwater prison Team Cap was taken to following the battle in Germany in “Civil War.” Needless to say, Hawkeye was less than thrilled to be there, considering he’d left his family behind back home. This brings us to his second retirement, which would have stuck, had it not been for Thanos. Clint is completely absent from “Avengers: Infinity War,” and it’s only quickly mentioned in passing that this is due to the deal he cut with the FBI after getting off the Raft. Clint agrees to stay under house arrest in order to return back home to his family and serve out the rest of his sentence there. Then, everything in “Infinity War” happens. 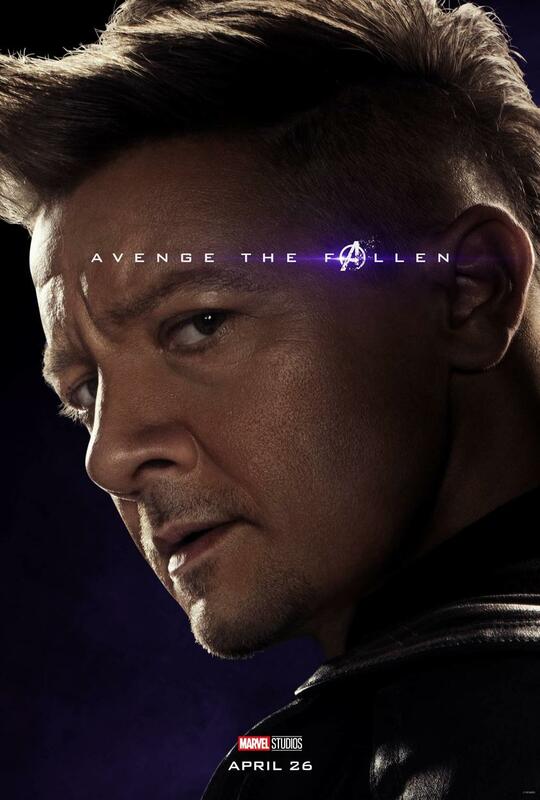 We don’t yet know how Clint, let alone all the Bartons, were affected by the event, but when Hawkeye turns up in the trailers for “Avengers: Endgame” he looks completely different. It appears as if Hawkeye has BEEN through some things. He now has a mohawk! He’s got a tattoo sleeve! His wardrobe suddenly involves a lot more black, and his persona is 100% more brooding! Also, Hawkeye holds hands with Black Widow in the rain, what that means for their platonic friendship remains to be seen! He’s also got some mysterious young protégé who he’s training to use a bow and arrow in the latest “Endgame” trailer. Honestly, anything could happen next with Hawkeye, and we’re so happy he’s back – even if he is a lot more mysterious.